Lucapa Diamond Company Ltd based in Perth, Western Australia, and listed on the Australian Securities Exchange (ASX: LOM), suspended the trading of its stock for the second time in a month, after the breaking of the news that the company had recovered an exceptionally large diamond, at its Lulo Diamond Concession in Angola. The Type IIa, exceptionally white, rough diamond weighing 95.45 carats is reported to have an irregular equant shape, with dimensions of 25x20x16 mm and is the second largest diamond recovered at Lulo to date. The largest rough diamond discovered at Lulo is a 131.40-carat, Type IIa diamond found in 2012. The diamond is provisionally classified as D/E, until it is cleaned to remove iron-staining and retested to resolve its color classification. The 95.45-carat diamond is the largest of 66 diamonds totaling 206 carats recovered from 335 cubic metres of gravel from the BLK-19 bulk sample, processed through Lucapa’s recently commissioned Dense Media Separation diamond plant at Lulo. 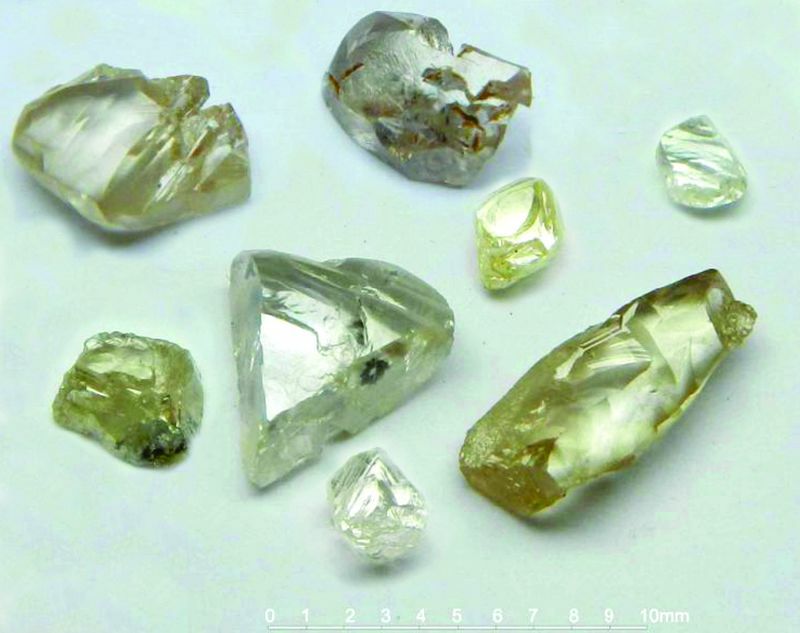 Other large stones recovered from the same sample, include 10.95-carat, 7.65-carat, 7.30-carat and 5.65-carat rough diamonds. 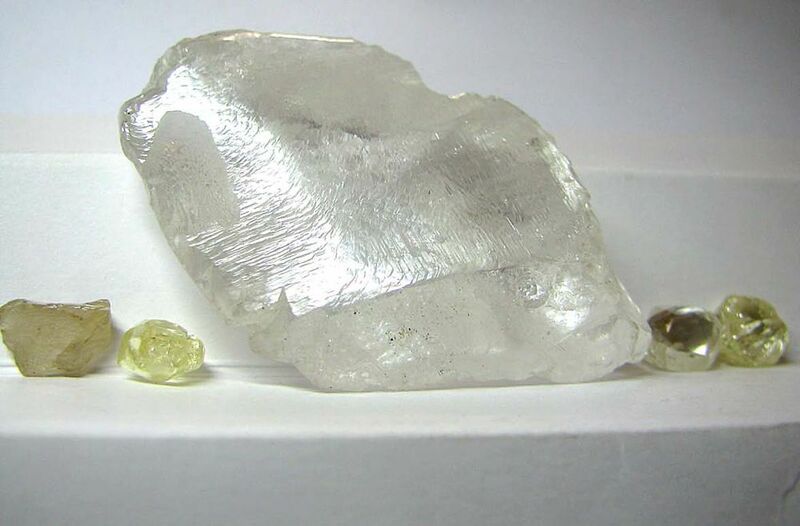 At the beginning of January, Lucapa called for a trading halt when it recovered a 32.2-carat Type IIa rough diamond at Lulo. That stone, which had dimensions of 32 mm x 10 mm x 8 mm was dodecahedral in shape, and was then the fourth-largest stone extracted at Lulo; but with this new discovery the 32.2-carat diamond has been pushed to fifth place. In addition to the 66 diamonds recovered from bulk sample 19, Lucapa has recovered a further 35 diamonds weighing 19.45 carats from bulk sample 18, since the company’s last update on January 13, 2014. As of January 22, 2014, a total of 1,555 cubic metres of gravel processed from bulk sample 18 had produced 110 diamonds weighing 74.5 carats. Since the sale of a parcel of diamonds weighing 496.2 carats for gross proceeds of $A 3.12 million in July 2013, Lucapa now has a collection of 259 diamonds weighing 374.4 carats. The Company will apply to sell its next parcel of diamonds when its inventory reaches 500 carats. The bulk sampling and recovery of diamonds is part of Lucapa’s kimberlite exploration program that began in late 2012, to locate the source, or sources, of the rare and valuable alluvial diamonds being recovered at Lulo. This program involves the drilling, excavating and bulk sampling of more than 60 priority kimberlite targets identified within the concession from two aeromagnetic surveys flown over the concession in 2008 and 2013. The kimberlite program at Lulo has now advanced to the point where the Se251 kimberlite, which was identified from the 2013 aeromagnetic survey, has become the focus of Lucapa’s exploration activities. With an estimated surface area of approximately 220 hectares, Se251 is the largest kimberlite discovered at Lulo and a potential source of the rare alluvial diamonds being recovered by the Company from Lulo. The Company has also commenced excavating bulk samples from Se251 for processing through the new 50 tonne per hour DMS plant. BLK 18 and BLK 19 bulk samples are from the Se251 kimberlite area, and going by the encouraging results obtained so far, Lucapa should enter 2014 full of confidence that they will locate the kimberlite pipe or pipes which are shedding these diamonds. 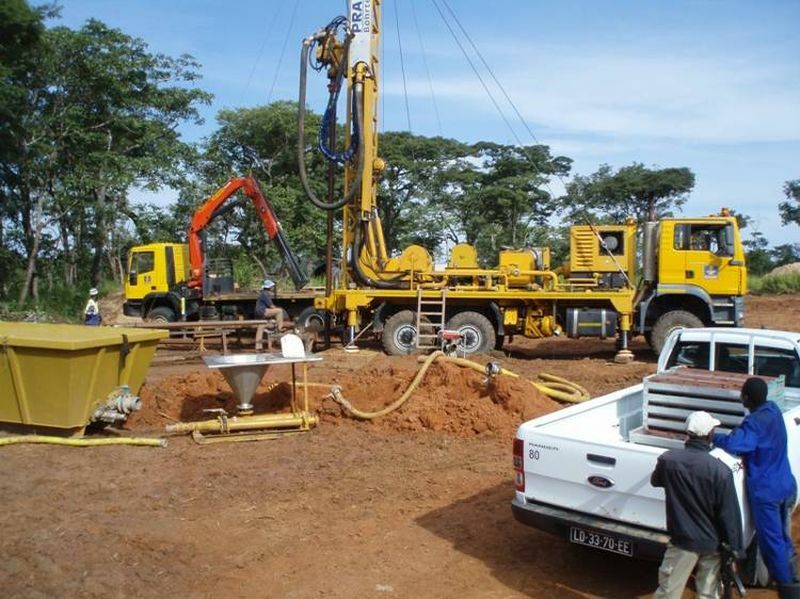 The Lulo Project is operated as a joint venture between Lucapa and the Angolan Government-owned diamond company Endiama, which is the exclusive concessionary for Angolan diamond mining rights.